FACTORY: Oscar Valladares Tobacco & Co. Leaf is Island Jim's latest creation. Who's Island Jim? Jim Robinson and he's awesome. He also owns Leaf & Bean cigar shop in Pittsburgh, PA. The story goes that Jim met up with Oscar Valladares during a tour of the Rocky Patel factory down in Honduras. Jim requested some sample cigars be blended / rolled by Oscar with a strange request - wrap the cigar in a tobacco leaf. Oscar was baffled since really all the cigars he rolled included a wrapper. Hilarity ensued and now we have the Leaf line. The other origin story may be more plausable. Jim had grabbed some test samples while down in Honduras and wanted a good way to protect them on his trip home. Why he didn't have a herfador? Who knows ... just go with it. Jim pulled a few raw tobacco leaves and wrapped his cigars in those. When he got home, not only were the cigars in great condition but the leaves had kept them nice and oily too. Less hilarity ensued and now we have the Leaf line. The loose cigar leaf serves many purposes. The first is practical - the leaf wrapping the cigar continues to coat it with the natural oils of the tobacco leaf. Much like cello, it offers great protection and breathability. Finally, it's golden marketing - the Leaf line stands out in a shops humidor and instantly generates a conversation and curiosity. Leaf by Oscar is available in four different blends - Connecticut, Maduro, Sumatra and Corojo. I'll be reviewing each in the coming days. Noel Rojas and Esteban Discla have also had a hand in blending the Leaf portfolio of stogies. 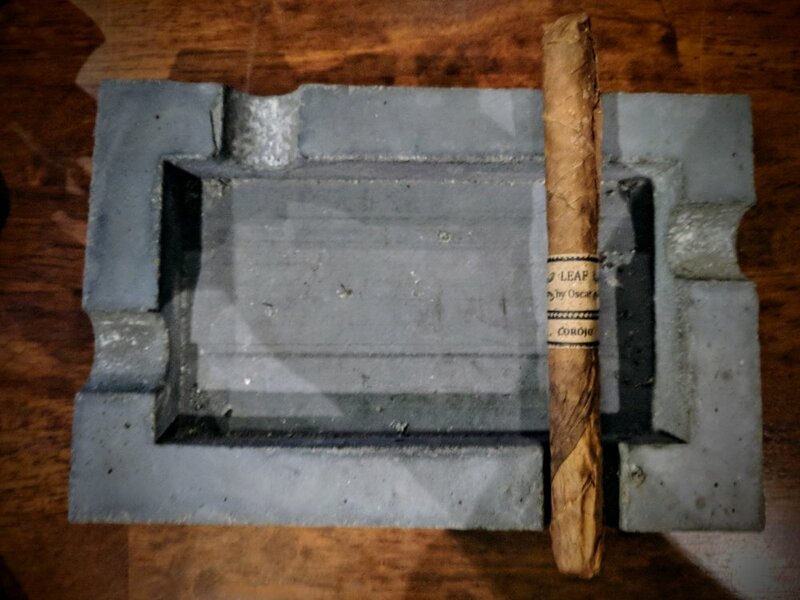 Originally, Jorge Ahued of Stogies World Class asked Island Jim about developing a lancero for their ever growing collection of lancero shop exclusives. Jim happily obliged but only on the basis that it be available to shops beyond Stogies. 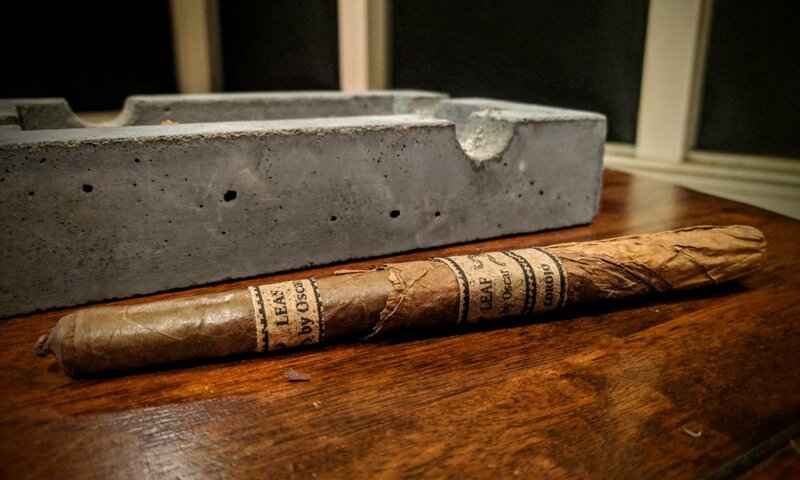 Some cool new stuff straight from Jim's mouth regarding the cigar bands on Leaf products - The bands themselves are made from tobacco leaves. They are pressed into paper by a shop in the same town the cigars are rolled. The factory employs single moms exclusively - so that's a cool feel good story. As far as costs go, these are actually fairly expensive to produce - with Jim buying each sheet for about 50-cents. The Leaf by Oscar line specifically started as Leaf & Bean's house cigar. Once it gained popularity, shops around the country began requesting it and after a bit of begging, Jim caved to begin generally distributing it. It goes without saying the branding on Leaf is phenomenal. Everything about it is simple and effective. From the raw leaf wrapping the cigar to the bands that encircle it, everything is organic and related back to the tobacco leaf itself. In theory you can even smoke through the band if you want since it's produced by printing on compressed tobacco stem leaves. I wasn't so inclined - something about smoking stems and ink didn't really seem like the path I wanted to go down. As for the design itself - I adore it. Everything has a purpose and is thought out. It's effective on so many levels - it is organic, protective, well-branded, etc. Really this sets a whole new benchmark for other brands to aim for. Jim abandoned the idea of a colorful, decorative band for something unique and creative that stands out beyond any well-designed typical band. Hell, my current favorite band is Dapper's La Madrina and this really gives it a run for its money ... I just think they're running in opposite directions. The first step to enjoying any Leaf cigar is stripping the stogie of its tobacco leaf cellophane imitation. 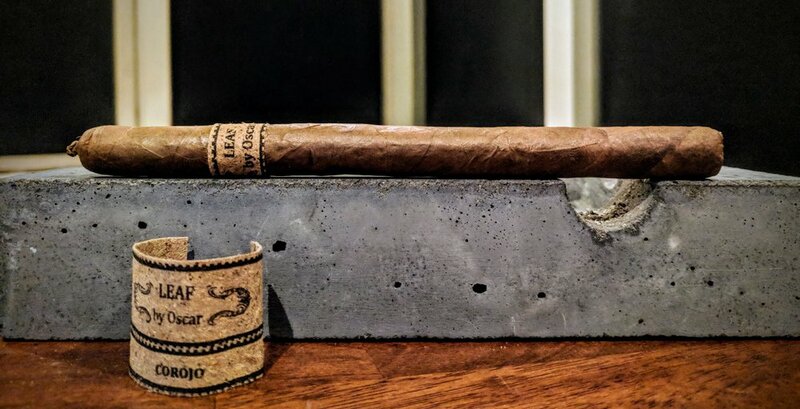 One look at the effort that goes into the branding of all the Leaf cigars and it's not really a surprise that this lancero is expertly constructed. Leaf's Corojo lancero is easily the best looking of the lancero blends that I've encountered so far. The corojo leaf wrapping the lancero is a beautiful chocolatey brown color with a great oily sheen to it. The seams are practically invisible and while the veins are visible, they primarily sit flat and don't bring nearly the same rustic quality the Sumatra offered. 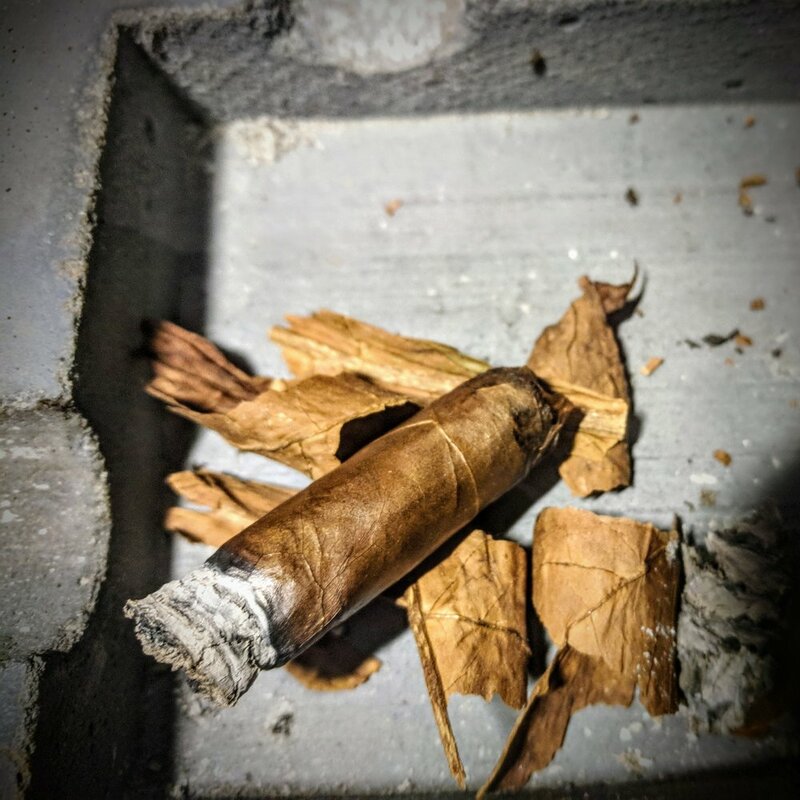 A light inspection of the cigar showcases a very consistently packed and rolled stogie. There are no soft / hard spots to note - everything just has a nice slight squeeze to it. Much like the other Leaf by Oscar lanceros, the Corojo sports a triple capped pigtail. It is perfectly done - blending seamlessly into the cigar's body with symmetrical, low shoulders. The foot shows off a solidly packed cigar with colors ranging from a like creamy, latte to dark chocolate. Aromas off the foot and wrapper are cinnamon/spice and cedar. The wrapper is pretty light on the nose but it all really pops on the foot. The cold draw is the best of the three Leaf by Oscar lanceros I've had so far. It's got a good resistance to it without being nearly as open as either the Connecticut or Sumatra. The flavors are light baking spices and cedar. The Corojo starts out with a great dose of spices. It's a mix between baking spices with some actual cayenne spice. The spice is pretty dominant so there's not a ton of other flavors to note right away. The draw is a really nice milkshake consistency. I suppose this is the shallowest cut I've used on any of the Leaf by Oscars and it's a great lesson to learn. The burn is a little bit wavy to start but if past performance is any indicator this puppy should straighten out without any issues. First few layers of ash are stacking up nicely - a great white, medium grey color. The smoke output is a lot like the Connecticut - tons of smoke while puffing which reverts to essentially out when resting. The smoke is a light grey color and has a pleasant distinct aroma to it. A good chunk into the first third and the baking spices have definitely fled to be dominated entirely by cayenne spice. There's a tiny bit of throat spiciness but primarily the cayenne lingers on the tongue for forever. I've paired this cigar with some whiskey and it's really not the best pairing. I may need to grab some beer or water to match up better with the cigar's profile. Hold the phone ... almost like night and day, the spice is gone. Oddly enough it's swapped out entirely for vanilla and some chocolate/creamy coffee. There's some toasted nuts on the finish. If you find yourself missing the cayenne, just retrohale - it comes right back. So far the draw is holding well - great bit of resistance on it but still brings a good amount of smoke to the mouth. As predicted, the burn line has completely rectified itself. No burn issues in sight. This ash has gone completely white! 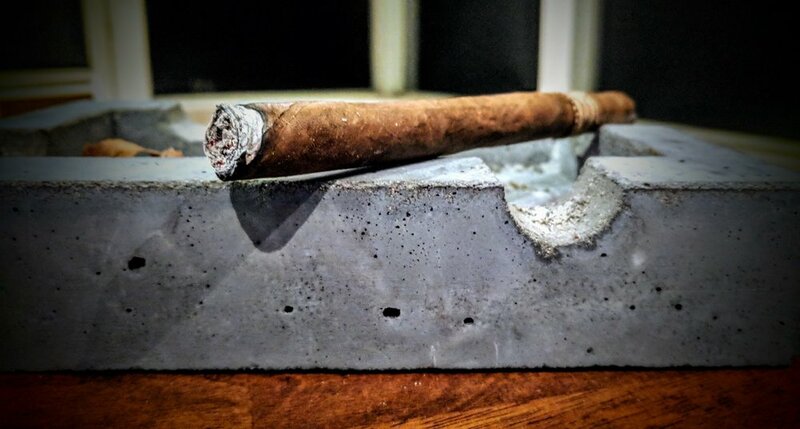 It really is like a piece of chalk slowly building on the end of the cigar. The flavors really evolve continually on this cigar - at least to the midpoint they have. The spice still rears up every so often but in-between a plethora of flavors makes cameos. The other flavors all revolve around a smooth vanilla bean, coffee, chocolate and a bit of citrus - maybe light orange. Truly a fascinating smoke at the halfway mark. The draw has opened up just slightly - nothing bad and honestly it's welcome. The burn line continues to impress with little-to-no deviations. The pepper has decided to take the driver's seat again. The complimentary flavors shifted again to move away from the sweet notes of the middle third. Most noticeable is some lighter nut tones (walnut/almond) along with a good dose of leather. The pepper comes and goes but is always present on the finish. There's a good savoriness to the final third. Nothing new to note regarding the construction/smoking experience on the final third. Ash, smoke, draw and burn remain consistent with my notes above. 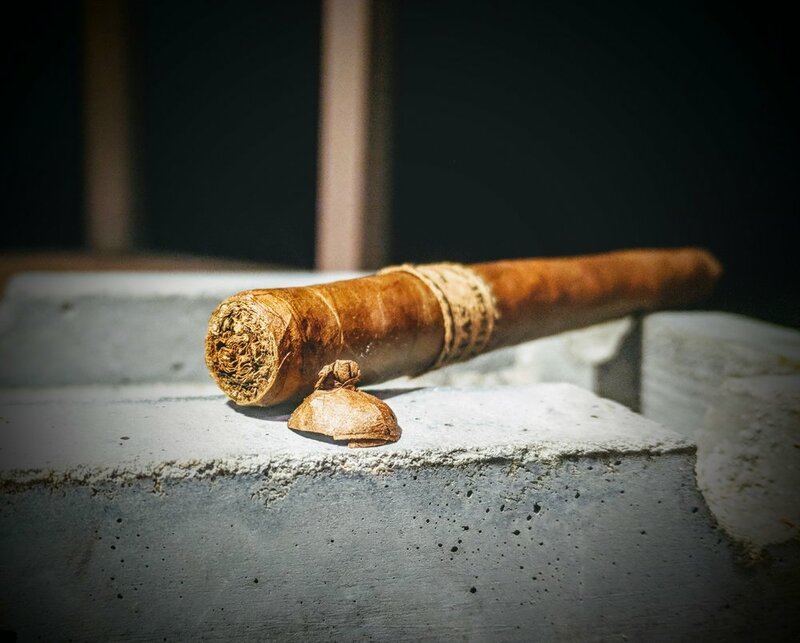 If spicy cigars are your jam, this Leaf by Oscar Corojo is for you. The other flavors that present themselves throughout the smoke are constantly complimented by varying levels of spice - mostly cayenne but definitely a little black pepper in there as well. Personally, I don't mind some spice in my stogies but this one was a little over the top. Great flavor progressions otherwise - the cigar's profile is certainly never boring and is continually shifting to bring something new. 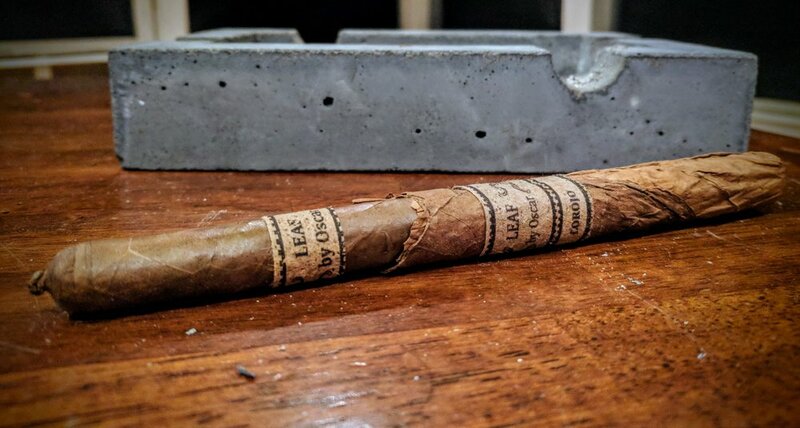 Like all Leaf cigars I've smoked, the construction and burn impressed. The burn rate was at the pace of the smoker and there were never any issues - much less anything requiring correction. I can't dish out enough praise for the stellar job Oscar Valladares is doing at his factory down in Honduras. Like spice? This bad boy is for you! This Honduran puro constantly hits you with some degree of cayenne while consistently introducing great complimentary flavors - coffee, vanilla, orange zest, nuts - all seamlessly and with a effortless smooth quality. Jim and Oscar's collaboration is fantastically showcased in this lancero that i'd highly recommend to any fan of corojo with some kick. 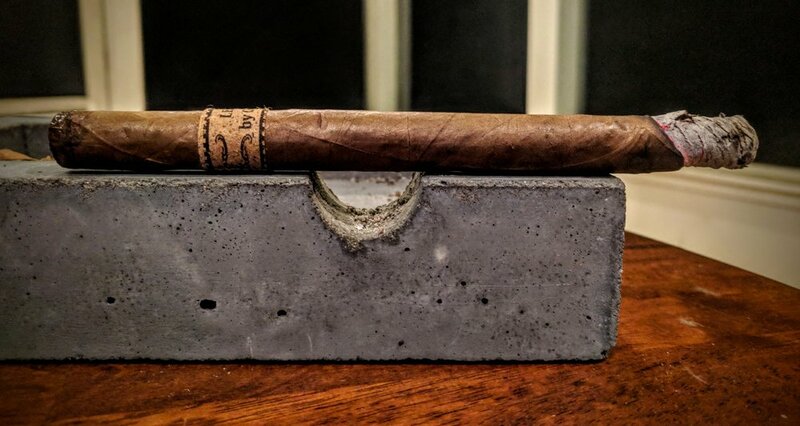 Some good reviews and commentary out there for the Leaf by Oscar Corojo - mostly discussing the toro vitola but there's a little bit available for the lancero. Only Cigar Authority rated it - giving it a 92. I underscored it a bit but it's easy to see given the polarizing nature of the strong pepper presence. Definitely drop me a comment below to let me know your thoughts!